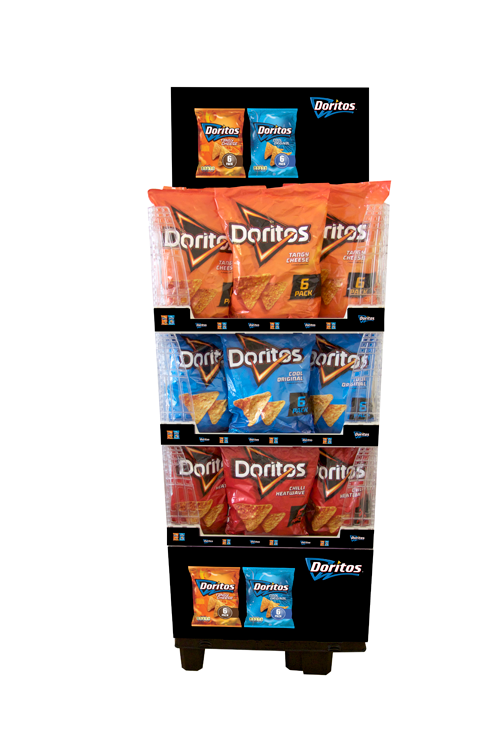 The field of freestanding display units (FSDUs) has long been dominated by cardboard, despite this being an expensive one-trip option. However, there is a viable alternative, which is why Polymer Logistics recently developed its innovative Crystal Clear range. Manufactured from tough polycarbonate, a Crystal Clear FSDU offers up to a 50 percent saving over traditional cardboard, as it can be pooled and used time and time again, making it a more sustainable option. The Crystal Clear range of pooled stackable trays also delivers other significant advantages over cardboard FSDUs. It has a greater load bearing capacity, making it particularly useful for the promotion of heavier items, such as lotions, shampoos, and beverages, and is more able to cope with the demands of supply chain handling as cardboard FSDUs can be easily damaged in transit. With its better stack stability Crystal Clear ensures that products arrive in-store undamaged, which in turn, helps to reduce waste or lost sales due to damaged packaging. In terms of the in-store shopper experience, Crystal Clear is aesthetically appealing and displays the product offering clearly to the consumer. Compared with a cardboard FSDU, which can be easily damaged, or metal cages that can become battered over time, Crystal Clear is also resistant to damage whilst on the retail floor. 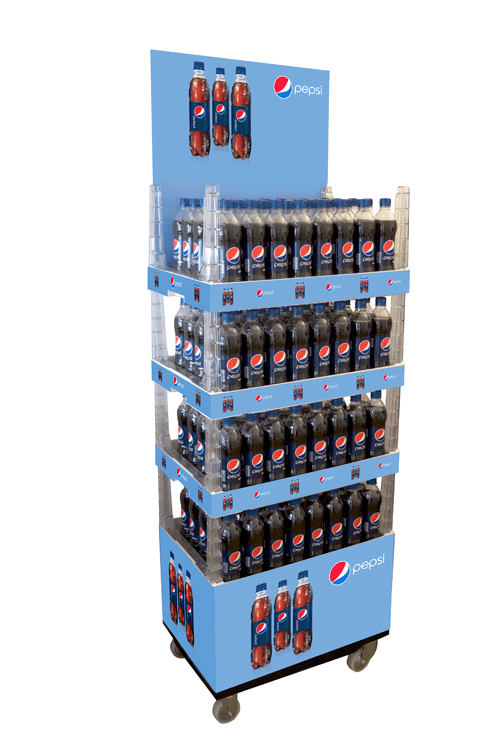 What’s more, the unit can be trimmed with POS messaging to optimise promotion, which in turn increases sales. Thanks to its stackable tray levels, the Crystal Clear FSDU range lends itself perfectly to use in even the most compact retail space and can be easily configured to offer, for example, different flavours or types of a product on the different trays. A Crystal Clear FSDU arrives fully stocked and ‘retail ready’ and can thus be put straight on to the shop floor, ensuring maximum product availability. It is available in three different variants, two of which can be used as an FSDU, while all three are foldable and stackable trays, maximising truck and store space, and ultimately reducing transport costs. Once the product has reached the end of its useful life, Crystal Clear proves its green credentials, as it can be fully recycled, thus underlining Polymers Logistics’ commitment to providing environmentally sustainable packaging to the retail industry.